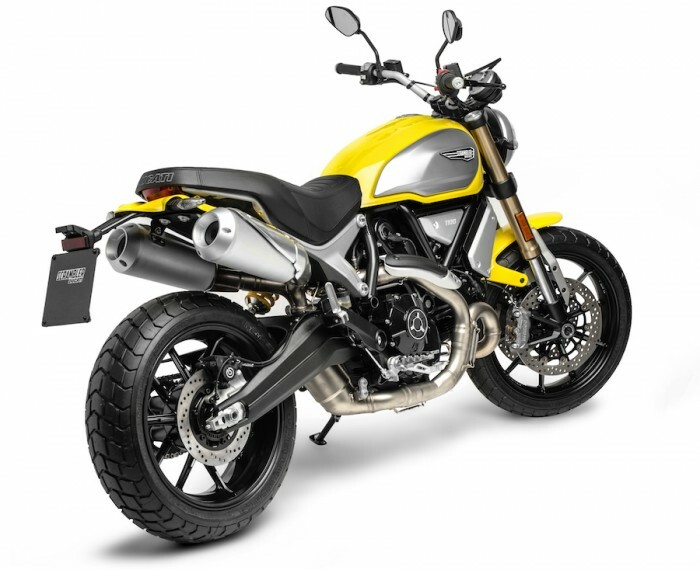 Fair play to Ducati – its Scrambler sub-brand has been a gigantic hit. Like Mini for BMW, it’s building up a separate-but-linked moto subculture, adding thousands of newbies to the Bolognan brand, particularly in the entry-level sector. The 400 and 800 Scramblers, in their multifarious versions, have struck a chord with folk looking for a simple, no-fuss roadster with strong styling and a definite overarching ‘theme’. They’re decent enough to ride as well, albeit a little bit pricey for what you get. There are three versions of the bike – the base 1100, the ‘Special’ and the ‘Sport’. The base and Special use Kayaba and Marzocchi suspension, while the Sport has Öhlins front and rear. Spoked rims on the Special contribute to an extra 5kg mass, and they all use the same engine and Brembo radial four-piston calipers.